So, with the first (hopefully not last) lovely weather in May we went for a walk through the St Ives Estate in Bingley near Bradford. The seat of the Ferrand family until 1929 it is now a 550 acre country park with woodland, a coppice pond, a heritage centre and a very nice cafe. We were hoping to wander along slopes carpeted in bluebells, but the slow, slow creep of spring meant we were a few weeks too early. 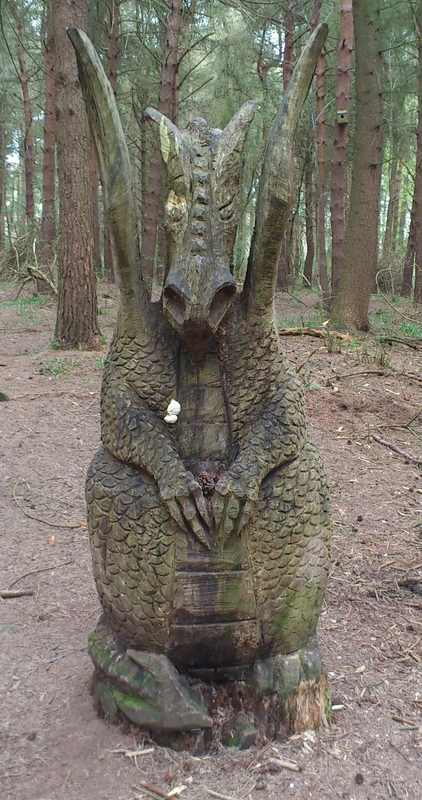 Instead we had the pleasure of a beautiful walk through woodland punctuated by fantastical chainsaw sculptures by Rodney Holland. Some of them are showing signs of age, eroding naturally with time and weather, but that doesn’t detract from the surprise of spotting them, and the artistry of creating them. If you’ve never come across chainsaw sculptures before they’re a mix of the old art of woodcarving and the technology of chainsaws. 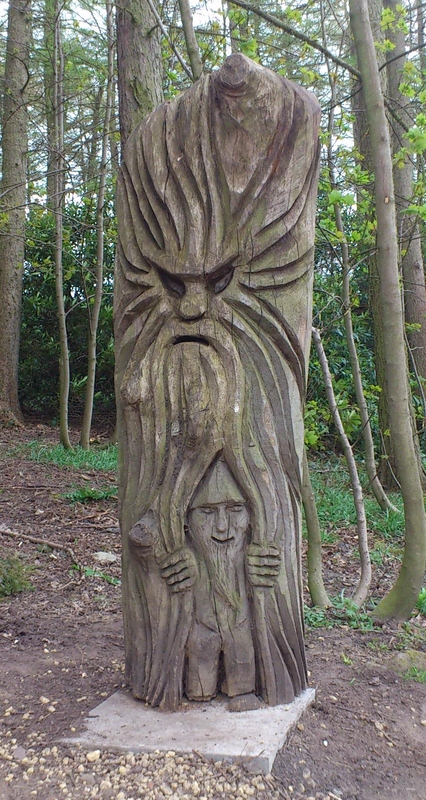 Although chainsaw carving only started as an art form in the 1950s/60s it has now become an international movement producing works of art that are staggering in their scale, and in their artistic and technical skill. As well as creating sculptures on commission for private clients and organisations, some chainsaw artists compete in public to create the best sculpture in the time allotted. If you’re intrigued the 9th English Open Chainsaw Carving Competition takes place over August Bank Holiday at the Cheshire Game & Country Fair near Knutsford. You can watch the sculptors produce their masterpieces and – if you really like what they’ve created – bid for one in the auction. I’ll see you there! 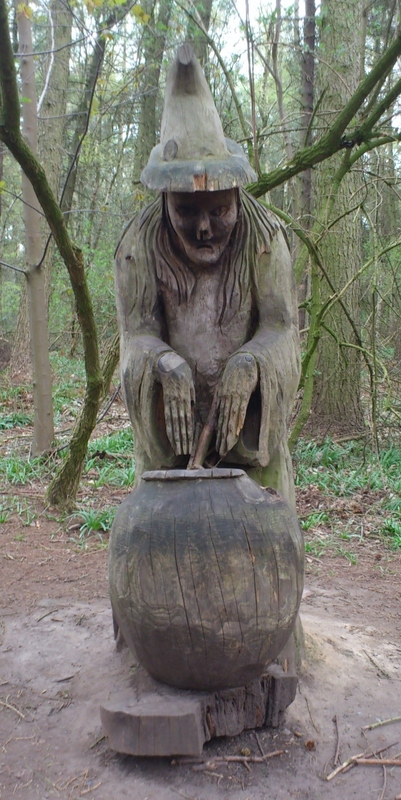 This entry was posted in Public sculpture, Sculpture and tagged Bingley, chainsaw, chainsaw sculpture, Ferrand, Rodney Holland, sculpture, St Ives. Bookmark the permalink.